Decay of the teeth (cavities) if left untreated, generally progress and gradually destroy a significant portion of the tooth before reaching the ‘pulp’ of the tooth. The pulp of the tooth is a thin soft tissue present in the tooth canals consisting of mainly nerves and blood vessels. Once this infection reaches the pulp it gives rise to a common ‘dental pain’. 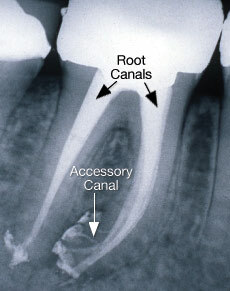 At this stage the tooth can only be saved by performing a root canal treatment. 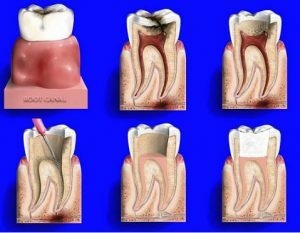 WHY ROOT CANAL TREATMENTS AT THE BEST DENTAL CENTER ? Absolutely painless and extremely comfortable with a reasonable price !